The age of Rawat was also one of the key factors of his appointment as army chief, Modi-led government to wanted to have an Army chief till completion of its on-going government’s tenure. 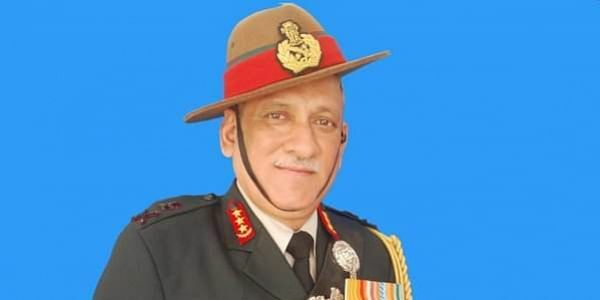 NEW DELHI: Name of Lt. General Bipin Rawat to succeed Army Chief General Dalbir Singh Suhag, has brought him into the list of Army chiefs who served a full tenure of three years as chief of Army Staff. General VP Malik was the last Army chief who completed three years in the officer from October 1997- September 2000. Previously General KS Thimayya and JNB Chaudhury had also served their full tenure of three years. Tenure of Army chief is fixed till the age of 62 years or three years, which comes earlier. According to sources, the age of Rawat was also one of the key factors of his appointment as army chief, as Prime Minister Narendra Modi-led government to wanted to have an Army chief till completion of its on-going government’s tenure. Next general elections are scheduled for May 2019. On Saturday, the government decided to announce Lt. Gen Rawat as the next army chief, by superseding two senior army Generals above him. Incidentally, Rawat-presently posted as the vice chief of the army, whose father Lt. Gen Laxman Singh Rawat had also served at the same position of vice chief of the army. Defending the decision, the government said that the final decision choosing the most suitable officer based on various aspects of the security situation in the country and the future scenario. "In the current security situation, Counter Terrorism & Counter Insurgency are key issues. Therefore the background and operational experience of the officers on the panel were considered in depth while selecting the next COAS. Lt Gen Bipin Rawat fulfills these criteria by virtue of his operational assignments as Commanding Officer of 19 Division in J&K and his outstanding track record, his familiarity with the functioning of the Army HQ & MoD in his capacity as Vice Chief and his general dynamism has also played a role in tipping the scales in his favour." said an MoD official.